My latest obsession is Quince and Co., a gorgeous Maine-based yarn company that churns out gorgeous designs from various knitters as well. I bought a whole pile of their Lark new american wool to make a scarf from their Stripes Collection for a Valentines day gift, and of course one of the stripes hat for myself. The Lark is a dream; its so buttery soft for a straight wool, and I love that its all American sourced. 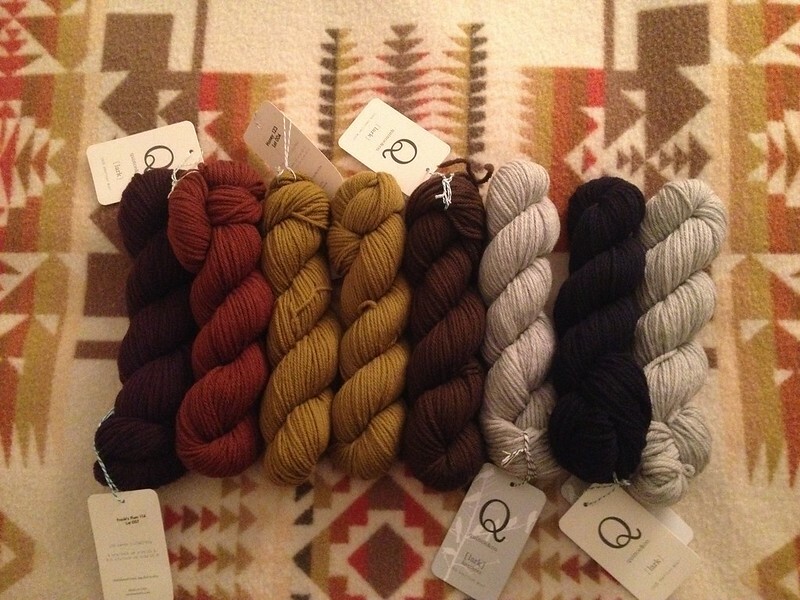 I plan on taking a trip to KnitWit in Portland some day to shop their yarns in a local. Next refrigerator oatmeal + handmade pot holder. right?! i love the entire collection ‘stripes’ for its simplicity and highlighting of the colors/yarn. i’ll post finished results.